What are Some Traditional Methods to House Train a Dog? If the puppy exhibits the need to go, carry it to its potty spot. 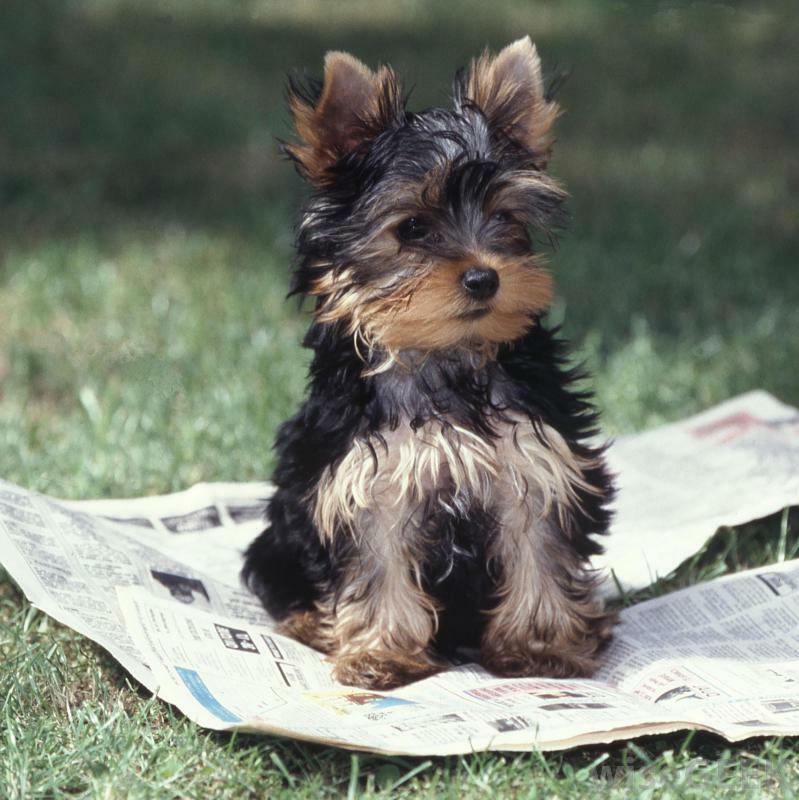 It may be helpful to keep the newspaper outdoors when initially house training a dog. It is natural for a dog to eliminate on newspaper. A crate for crate training. To house train using traditional methods, the dog is given run of a space that allows for natural exercise and movement, and can relieve itself at any time. Aside from being the most humane method, this allows you, the owner, more freedom. You can leave the house for extended periods of time if necessary, such as to go to work, without worrying that the dog is unduly confined or waiting to relieve itself. 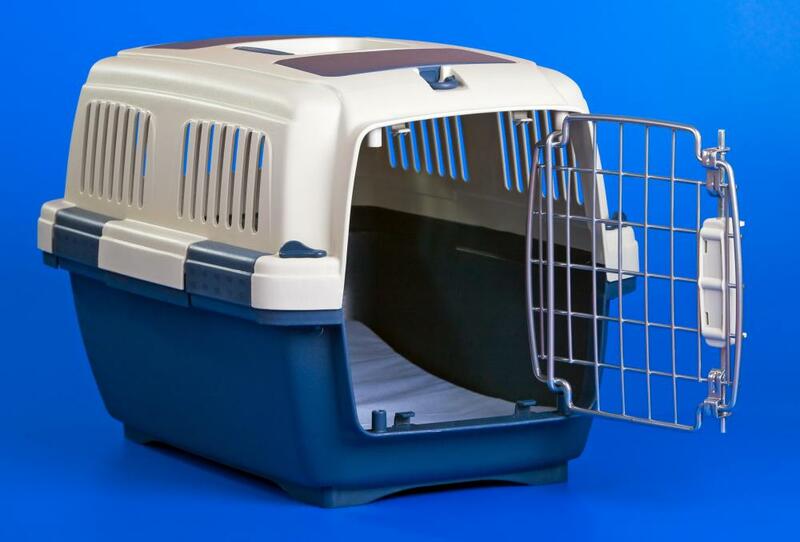 One popular method of house training your dog is crate training. It is believed by some to be unnecessarily restrictive and potentially cruel. It requires a dog to spend the vast majority of its time in a small crate until training is complete. The dog must be let out to relieve itself, which requires the owner be home and attentive. For puppies, this can mean taking the dog outside every hour. For an adult dog, every four hours, or more often if the dog shows discomfort. The easiest way to house train a dog is to use the hands-on approach of keeping the dog with you when at home, and restricting it to a section of the house when away. The restricted area might be a kitchen, den or bathroom. Child gates can be used to block off a room that lacks doors. If the dog is small, you might consider using a playpen rather than a room. Place food and water bowels at one end of the area, along with a bed and safe toys. Be sure when you house train to remove any potential dangers such as cleaning products in low-lying areas, sharp objects or other hazards. Lay down newspapers or a litter box at the opposite end of the area. Dogs will not soil sleeping or eating quarters, and take quite naturally to eliminating on newspaper. If choosing a litter box, be sure the dog or puppy can maneuver in and out of the box. Until you've had a chance to fully house train your dog, she may relieve herself on the floor when you are away, so the restricted area should be easy to clean. It is important that you don’t punish her for this, as she won’t understand. Instead, you want make positive associations with the newspapers/litter box when at home and working with her. Soon she will go to the papers automatically whether you are home or not. To house train your dog, watch for signs that the dog has to eliminate, whether she’s playing within the restricted area, or accompanying you in another part of the house. Keep her on a leash inside the house until she’s fully house trained. Common telltale signs are excited sniffing at the base of furniture or other objects, circling, squatting or attempting to lift a leg. The important point is to catch the pooch before he or she actually goes on the floor. When you see her circling or looking like she’s thinking about eliminating, clap your hands to distract her, but don’t reprimand her. Pick her up, and carry her to the “potty spot” where she should eliminate. Encourage her here by using a trigger phrase in a positive, excited voice that includes her name. “Potty papers! Good Sheba!” When she eliminates in the right spot lavish praise on her. She will soon learn to associate the papers or box with the trigger phrase, elimination, and positive reinforcement. Soon, it simply won’t occur to her to go anywhere else. 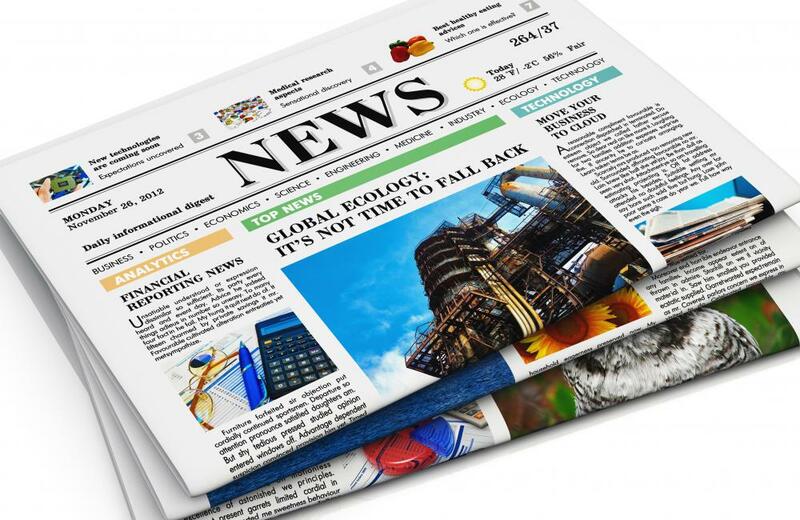 When you house train a dog using newspapers or a litter box, the dog can sometimes be reluctant to eliminate outside at first, as she won’t be sure if it is okay with you. This is easily remedied. If you have a yard, bring newspapers outside to the spot you’d like her to use. As the dog eliminates on the papers praise her with the trigger phrase adding the words "Outside potty! Good Sheba!" Dump the contents on the ground and praise her more. Throw away the papers, but leave the feces or spilled urine. The smell will attract her back to the spot. If using a litter box, lightly sprinkle soiled litter on the proper spot outside and repeat the trigger phrase. She will soon learn it’s okay to eliminate outdoors without litter or newspapers. If the dog needs to eliminate on walks instead, use the same basic method. Bring a sheet of newspaper or some litter in a baggie, and let the dog smell it. Encourage her by using the trigger phrase. When she eliminates give her lavish praise before picking up after her. Once you house train your dog, you will be able to ask her if she has to go outside to go potty. She might spin circles, bark in answer, or furiously wag her tail. She might also look towards the door or paw it. When you leave for extended periods of time, put newspaper or her litter box down again, and the dog will know to use this potty place, even with free rein of the house. You can also use this method at night if you want to avoid having to get up to let your dog outside. You can typically house train a dog within a few days to a week, but it may take longer depending on the dog and how much time you invest in watching and reinforcing her. Just like people, some dogs take longer to learn than others, and adopted dogs might have trust or abuse issues that can slow learning. Be patient and loving. Even adult dogs can be house trained. Most of all, dogs want to please. What Are the Different Types of Dog Gates? How Often Should I Change the Litterbox? What is a Self-Cleaning Litter Box? What are Some Considerations When Buying a Litterbox? @Phaedrus, I once had a maltese/poodle mix that was already house trained when I got him. I just had to make sure I got home early enough in the afternoon to let him go outside and relieve himself. One thing I'd urge dog owners to do is create a positive relationship between the word "outside" and going to the bathroom. I could say a list of ordinary words to my dog and not get a reaction, but the minute I said "outside", he would get very excited. They do understand what going outside can mean for them. One thing I used to do to house train our dogs was to set up the newspaper near a door to the outside. At first, I used a lot of newspaper to cover the entire floor in that room. I'd slowly start taking away newspapers until I only had one section right on the doorstep. I'd start taking my dog outside to relieve himself, and keep one section of newspaper on the outer side of the door. Eventually my dogs got the idea to go outside, since there was no longer any newspaper left in the house.